Our beloved Calendula products have gotten even better. We’ve created our own organic calendula flower infusion using the highest quality certified organic flowers, slowly bathed in hot water to create a super-concentrated base which is then additionally enriched with our certified organic calendula extract. The result is a richer, more concentrated product from this trusted flower that’s been used to soothe the skin for centuries. Product description: Soothe skin naturally with what we think is nature's best skincare ingredients, Calendula (kal' len' dula). Commonly known as Pot Marigold, this flower has been used to safely soothe skin for centuries. 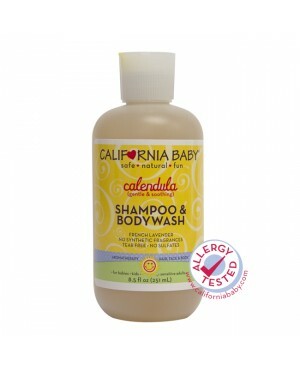 California Baby®'s Calendula Shampoo & Bodywash uses an active percentage of this wonderful flower. Gentle enough for everyday use and is recommended for those with sensitive, irritated or extremely dry skin. California Baby® vegetable derived glucoside cleansers are sulfate free, non-stripping and extremely biodegradable, making washing a non-drying and effortless affair. 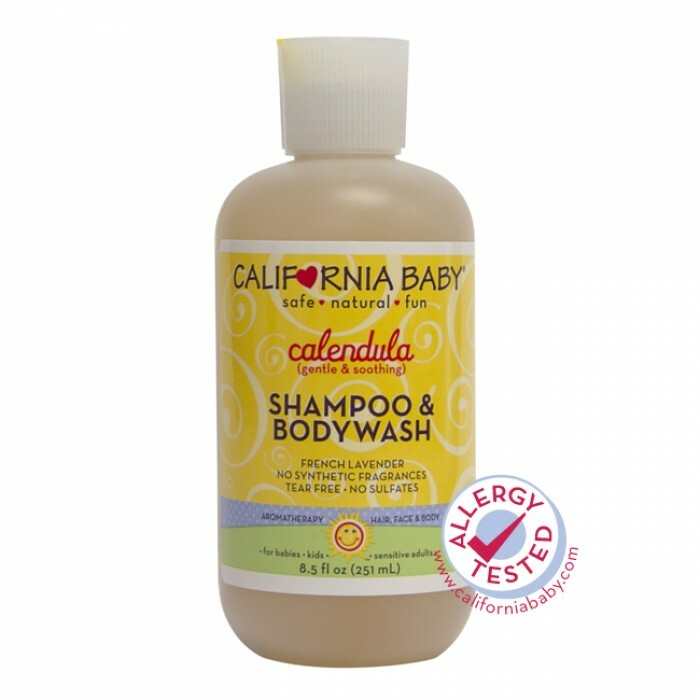 California Baby®'s light & fresh Calming™ essential oil blend adds to the bathing experience. Leaves hair noticeably shiny, soft, and manageable.